Oscar Howe, Dance of the Heyoka, ca. 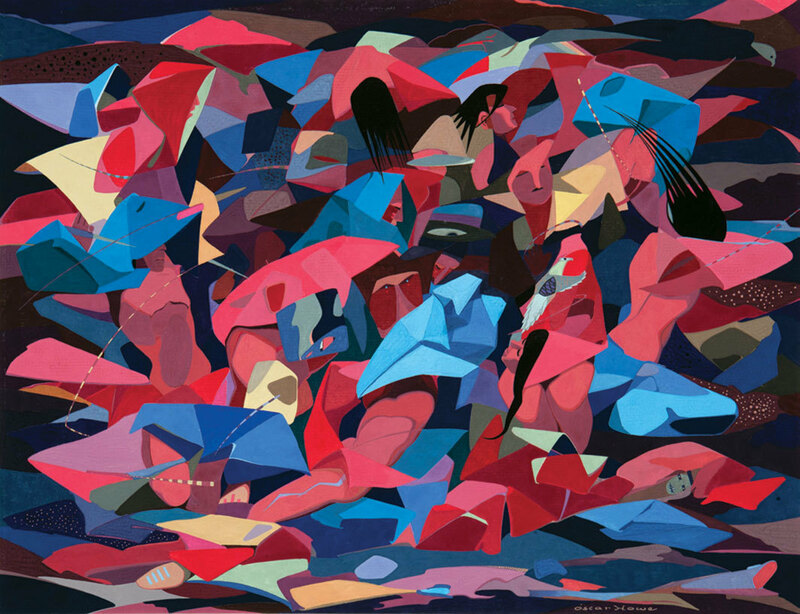 1954, watercolor on paper, 20 1⁄4 × 26 1⁄4". 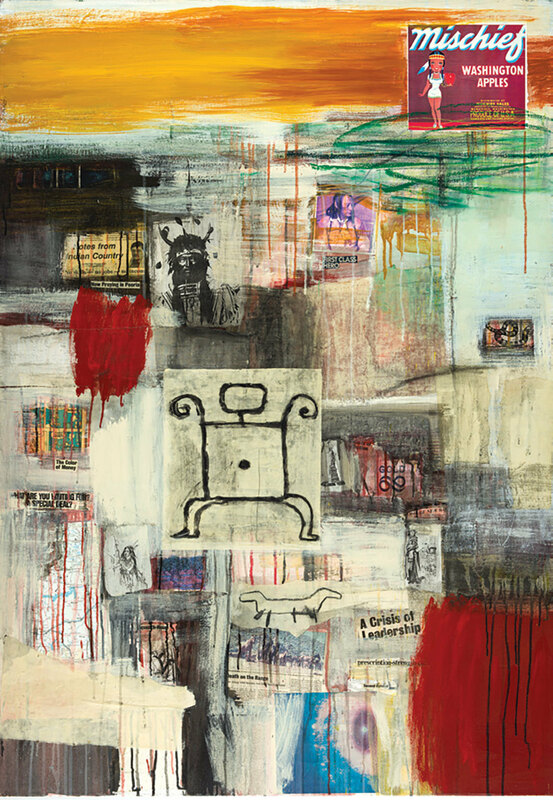 Jaune Quick-to-See Smith, Mischief, Indian Land Series, 1992, acrylic, oil stick, and collage on canvas, 60 × 40".